Special Features: The beloved flowers - the color of butter - and the glossy green heart-shaped leaves, once used in salads by early settlers in the USA. 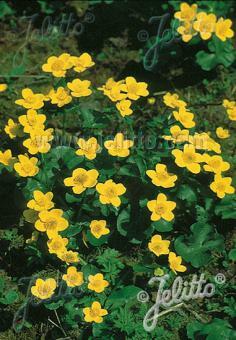 A plant perfectly suited for stream banks or at the edge of pools. Plant of the Year 1999 in Germany. 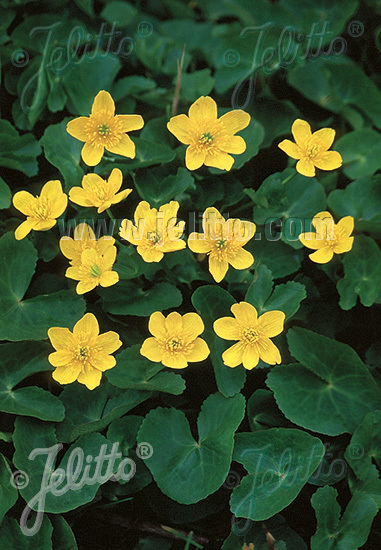 Historical: Pliny and Virgil commonly used the name Caltha for yellow flowers, possibly for Caltha palustris. Palustris indicates that it is from moist areas.